If thick shrubbery and tall vegetation stand between you and a successful wilderness expedition, the Two Handed Cleaver Machete clears the way with controlled, powerful cuts. Its tactical style echoes its versatility and efficiency. Crafted from stainless steel, the full tang blade possesses a black finish. A fuller runs partway along the spine, lightening the weight and enhancing the balance. The tip of the spine possesses an axe-like projection with a small hook that allows more versatility in cut. 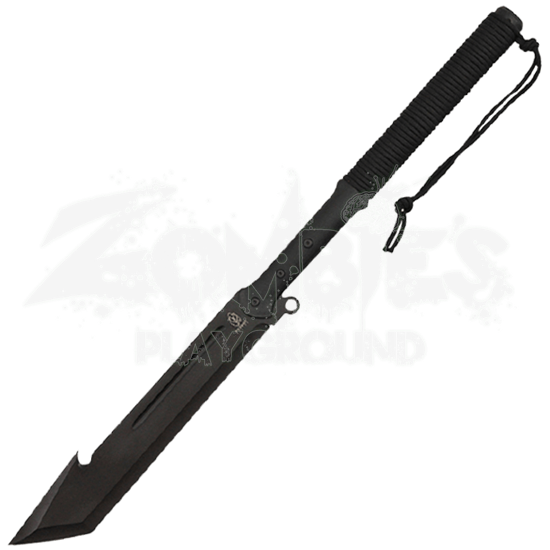 Black paracord enhances the grip of the black plastic handle. 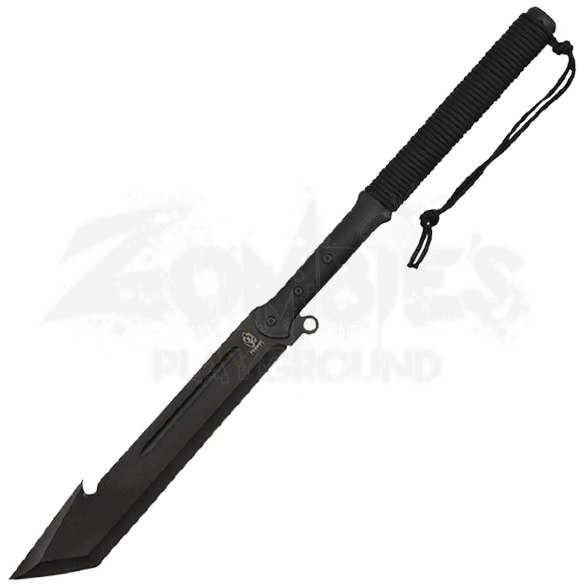 Keep this handy survival tool close at hand with the included black nylon sheath.